Quality - 5 Star international standard. A new hotel in a completely renovated building. Modern, clean, comfortable. Exceptional value. Service - Friendly and helpful. English spoken at the desk and in the restaurant. Highlight - That brand new feeling. Bedding and bathrooms - I've got a thing about these - it's a girl thing. Nice crisp sheets and brand new bathrooms. The Hilton at Tucumán was a real find. 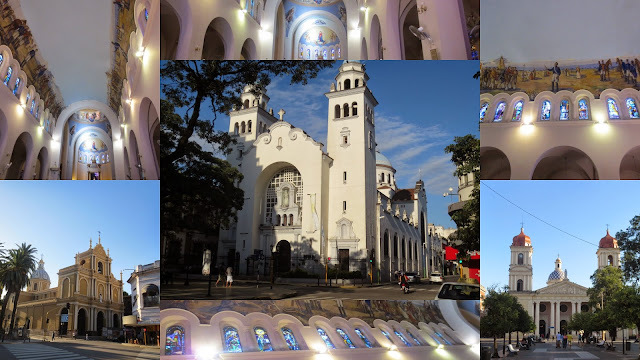 A once prosperous city, Tucumán has suffered more than most from the economic decline of Argentina, but perhaps prosperity is returning. Why else would Hilton choose to open a new hotel here? After a long, fraught drive from Córdoba arriving at the Hilton Garden Inn felt like re-discovering civilisation. Read my blog post on the drive - here. We stayed two nights on our journey north and another night on our return to Córdoba. During our first stay we were up-graded to a suite which was just lovely. Sadly we were almost too tired and strung out to appreciate the luxury of it. The ordinary rooms are still very nice though. Like the Sheraton at Córdoba there is no view to speak of but it was fun to look out over the city from the safety and comfort of our room. 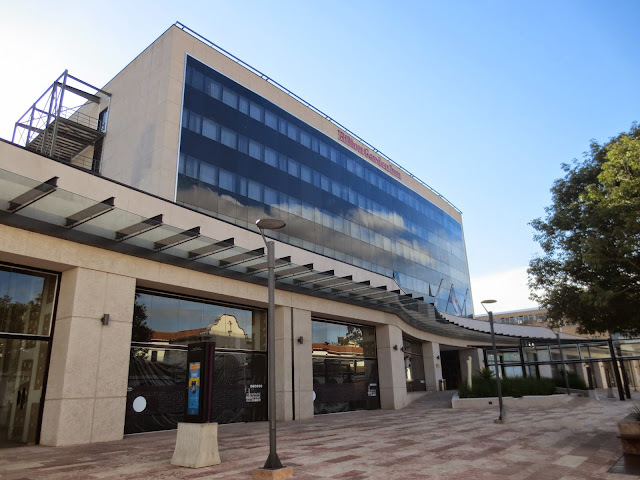 The hotel is located about ten minutes drive from the main plaza. Tucumán probably isn't at the top of most people's bucket list, but if you want to see the real Argentina you have to get away from the tourist areas, and Tucumán is a great location to do this. 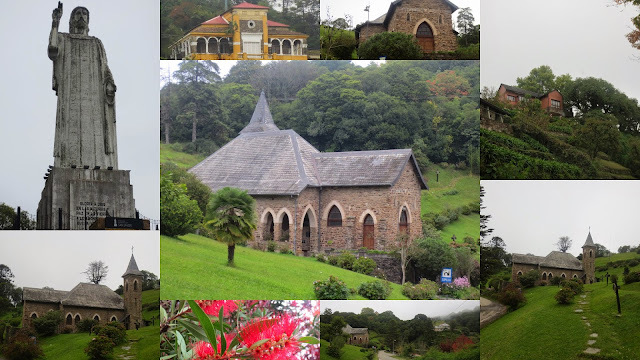 Not only does the city have beautiful colonial buildings but there are some lovely drives in the surrounding hills. The Las Yungas Circuit - This 140 km drive takes in the picturesque hill village of Villa Nougués and the 28 metre high Christ Statue at San Javier. I can highly recommend this for a pleasant day's excursion. El Mollar and Tafi del Valle - 107 km from Tucumán, Taffi del Valle is uninspiring in itself but the unpaved back road from El Mollar to Tafi via Las Carreras has spectacular views. With sheer drops the road deteriorates at times to little more than a track - not for the faint hearted. Don't miss the collection of ancient carved granite monoliths at the Parque de los Menhires, El Mollar. Quilmes and Amaicha del Valle -Quilmes is Argentina's most significant pre-Columbian ruin covering an area of 30 hectares. 183 km from Tucumán it can be seen in a day trip from Tucumán provided you get an early start.